We are fast approaching June and with that comes Memorial Day. Memorial Day is the un-official start of summer. Summer means grilling and Father’s Day! 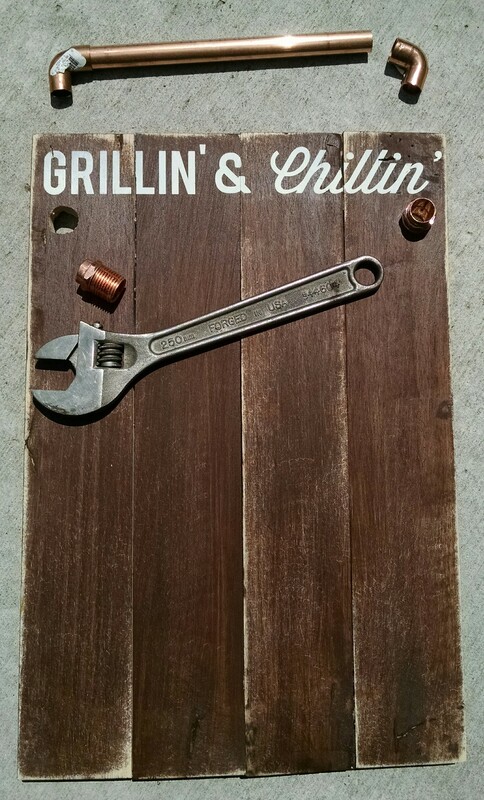 Here is the perfect DIY gift that any dad would love! Even if you’re not a dad, this is great for any backyard patio. 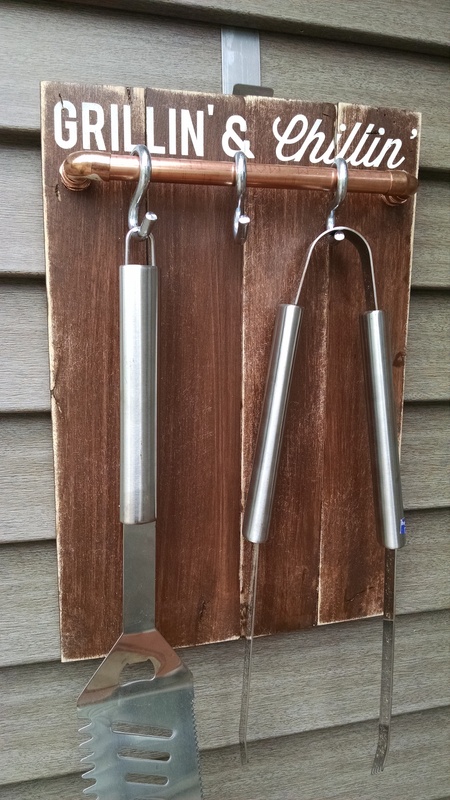 Check us out on WSAW News Channel 7 at 5:00 pm to see us demo how to make this handy grilling tool holder. This is a pretty simple project and can easily be completed in a short amount of time. You will need to have your 1″ by 10″ cut to the approximate length of 17″. Some local home improvement stores will cut your board to length or sell cut off lumber that will work for the project. Once you have your board cut to length, you would sand lightly. The board will accept the stain better if it is sanded. 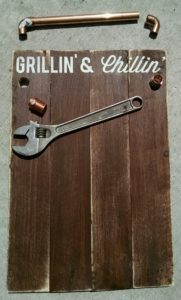 If using re-purposed pallet board planks. Cut four planks to approximately 17″. Sand the planks. Using a scrap piece of wood strapping and brad nailer or hammer to hold the planks together. Next you will add the heading to your sign. 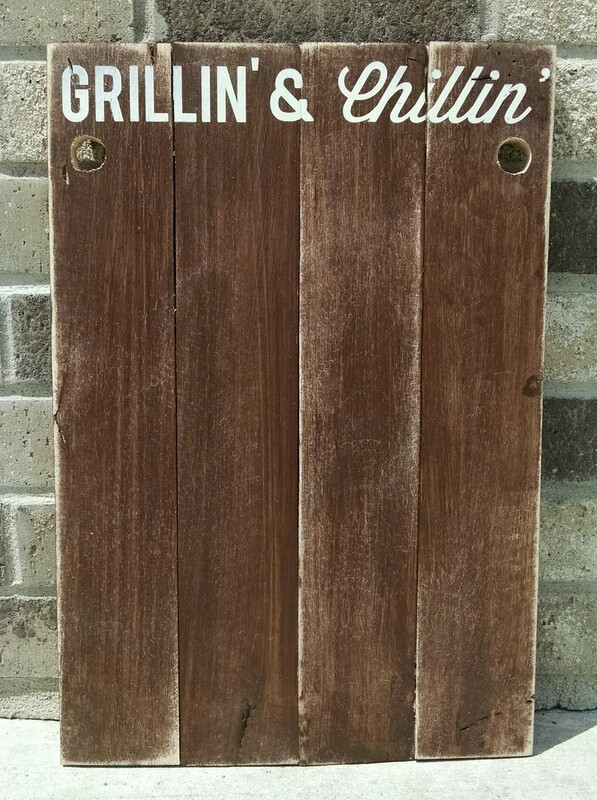 We choose to stencil ours Grillin’ & Chillin’. You can also use a paint marker to write a heading. 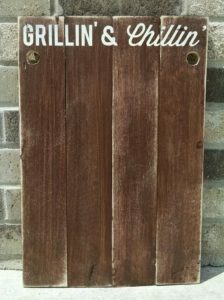 Great idea for a Father’s Day gift; have your child write on the sign! Drill holes to attach your hangers of choice. We are using a copper pipe with “S” hooks. The elbows from the copper pipe are threaded through the board. Once you have your hangers attached, you can spray coat your Tool Display Hanger with an outdoor spar urethane. We choose to use Varathane – Spar Urethane for outdoor use. Allow your project to dry and it is ready to use!